Analogous colors...they are colors that are right next to each other on the color wheel. Above is an example of a very warm palate. (It is August after all)! Orange, red orange, red. The pinks are tints of red and give the block added interest. Analogous colors in Nature. Red, red-violet, purple. Warm colors moving toward cool colors. 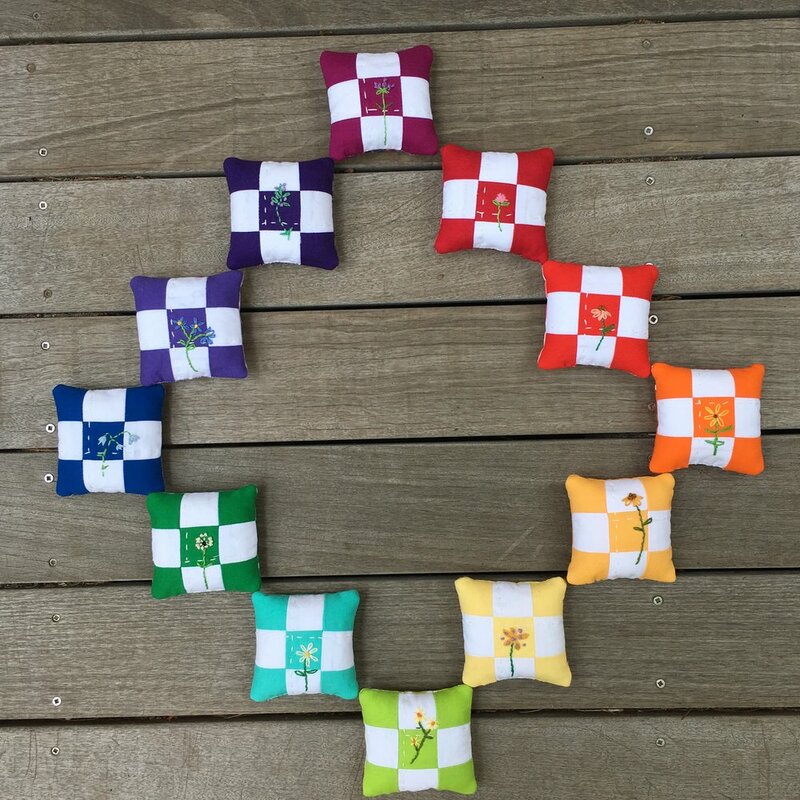 And finally, the entire color wheel -- pincushions embroidered with summer flowers. There will be one more post in this series in September. That one will show my finished Summer Challenge Analogous Color Quilts.